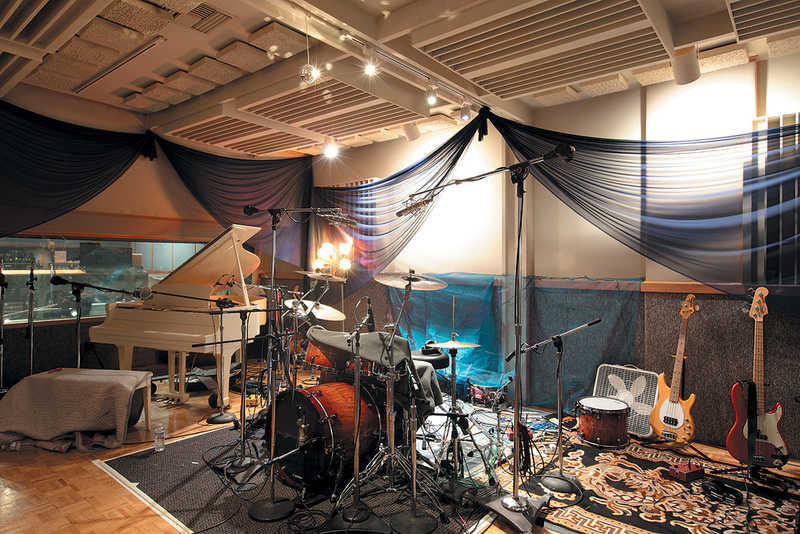 The live room in Hyde Street Studio D.
San Francisco has always been avant garde: as a gold-rush city in the 19th Century, and today as the centre of the worldwide digital revolution. But the 'Paris of the West' has always played an important part in the world of pop music, too, and few buildings have played a bigger role in this strand of the city's history than the studio that today is called Hyde Street, after its location in San Francisco's dazzling Tenderloin district. The foundation of almost any studio of historical significance can be traced back to the work of a single visionary engineer or producer. In this case, our story begins with one of the most famous names in the history of recorded music: Bill Putnam. 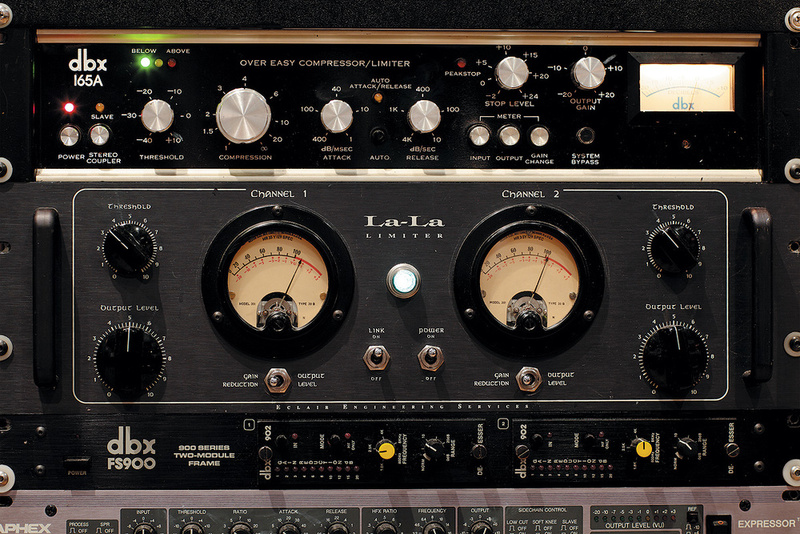 The polymath and genius had a gift not only for designing classic equipment such as the 1176 compressor, but also for picking the right people to work with. One of those, Wally Heider, learned his craft as Putnam's assistant; training which proved a stepping stone for his own astonishing career. Heider made his mark not only with his own Hollywood-based studio, but as owner and designer one of the first high-quality mobile recording rigs. Towards the end of the '60s he had established himself well beyond the Californian music scene. 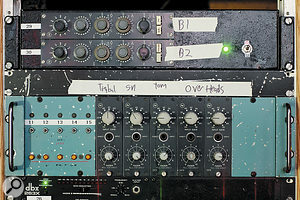 In 1968, Heider was working with Crosby, Hyde Street Studio A's control room boasts a classic Neve 8038 mixer.Stills and Nash at his own studio in Los Angeles, and when the band decided to migrate north to the Bay Area, Wally Heider agreed to move along and set up a new studio in San Francisco. He found a space that formerly served as offices, screening rooms and storage for 20th Century Fox, right across the street from the Blackhawk nightclub, where Heider had recorded a series of Miles Davis's live sessions in the mid '60s. The building proved exactly the right location for his new venture. The music scene in San Francisco was bursting with creativity when Wally Heider opened up his first new room, today called Studio C, in 1969. Interestingly, the studios were designed by Dave Mancini, son of the famous composer Henry Mancini. The summer of love was long gone, but with bands such as Studio A live room set up for a recording session.the Grateful Dead, Jefferson Airplane, Creedence Clearwater Revival and CSNY, a lively music scene crowded the Bay Area, and Wally Heider's studio catered to them as one of the premier recording operations in San Francisco. The following five years were a huge success story for the entrepreneur, who opened up more large rooms (today called Studio A and D) soon after the first one, as well as a number of smaller studios. At one point, as history has it, The studio owns a beautiful mic collection, including this rare RCA 74B ribbon microphone.they were working on 15 albums at a time at 245 Hyde Street. But the tide turned soon after Herbie Hancock's milestone album Headhunters had been recorded in Studio D. The studio manager left, and the oil crisis and the recession of 1973, amongst other things, led to the demise of the studio. Things became so bad that Wally Heider himself was fired by the company that had taken over the studios. Subsequently, the studio's business languished for a few years, before industry veterans Michael Ward, Tom Sharples and Dan Alexander took over the venture in 1980. 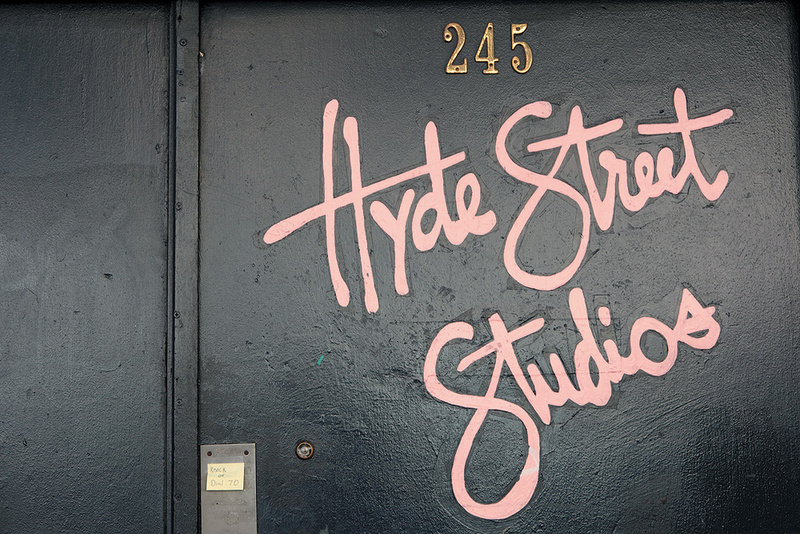 Chris Isaak, Robert Cray, Joe Satriani and the Dead Kennedys were only a few of the famous artists who laid the foundations for the successful second life of the studios, which were now simply named Hyde Street. Today, Studios A and D are still operating under this name, while A custom-built dual-channel limiter, named 'La-La': guess what this has been modelled after...Studio C is leased out to independent producers. The flagship room, Studio A, offers a 90-square-metre live area and a discrete Neve 8038 console with 38 input channels and Flying Faders automation. 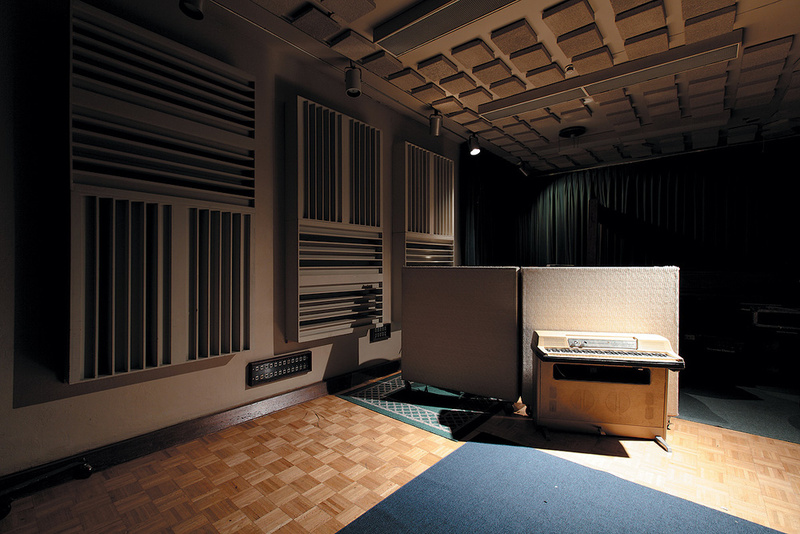 Studio D, with a 60-square-metre live room, is slightly smaller, yet a classic room with a unique atmosphere and an impressive pedigree. One of many notable recordings to have been cut here is James Brown's 'It's A Man's Man's Man's World'. 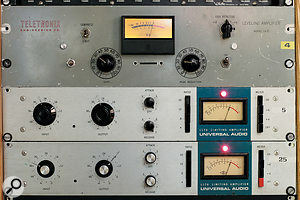 For many years, this studio was based around an Amek APC1000 console, which had been acquired from Sunset Sound Veteran limiters: Hyde Street's 'blue stripe' 1176s and Teletronix LA2 — the predecessor of the famous LA2A.in Hollywood, but it recently made way for a Pro Tools system with a D-Command control surface. 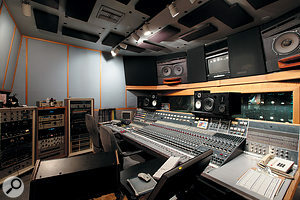 Today, Hyde Street also offers Studio E4 — a smaller production suite, mostly suitable for overdubs, vocal recording, editing and mixing duties. Luckily, the outboard and microphone collection of the studio still benefits from the Bill Putnam/Wally Heider heritage. Hyde Street has kept a handful of coveted limiters from the founding days in the '60s: a few 'blue stripe' 1176 units (the earliest and rarest of its many revisions) and also an original Neve units: a handful of 1272 amplifiers and a pair of 2074 modules, the EQ-only version of the 1073.Teletronix LA2 levelling amplifier. This was the predecessor to the famous LA2A, and only a few dozen units were ever made. 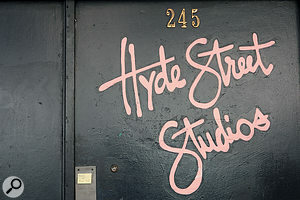 Hyde Street also benefits hugely from the fact that Dan Alexander was a member of the team that infused new life into the studio in the early '80s. Quite a visionary, he began to acquire Neumann U47s and other seemingly obsolete — and now precious — bits of valve-driven kit at a time when the rest of the audio world seemed to care more for DX7 synthesizers and brittle exciter highs. Thus, Hyde Street today boasts one of the most well-appointed microphone collections in the Bay Area. 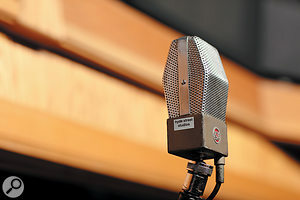 The mic lockers hold classics such as the Sony C38B and a rare RCA 74B ribbon, along with a selection of timeless Neumann valve capacitor mics, including U47s, M49s, U67s and KM54s. 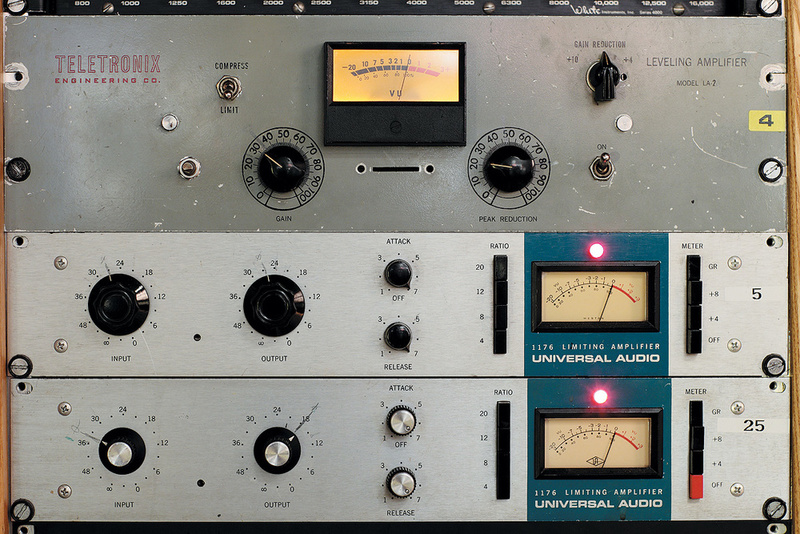 And to keep them company, the studio boasts a selection of Telefunken V72 and V76 preamps from the same era, which are all still held in the highest regard by valve connoisseurs.